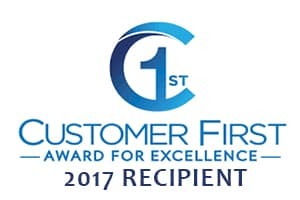 It Takes More Than Just One Happy Shippensburg Customer to Earn the Trust of Drivers Throughout Chambersburg, Gettysburg, Waynesboro and Carlisle, PA. It Takes a Dynamic Team Just Like the One at Shively Motors of Shippensburg. At Shively Motors of Shippensburg, we’re dedicated to earning your business again and again. The first time you walk through our doors could be to browse our selection of used cars. Or, perhaps you’ll stop by to trade an older model for a brand new Chrysler, Dodge, Jeep or RAM vehicle. Our sales staff and our auto financing team have the bar set at the top rung every time, so you can count on finding a loan or lease option that puts the Chrysler 200, Journey, Jeep Cherokee or RAM 1500 of your dreams in your driveway, on your terms. When you’re ready to return to our Shippensburg dealership for regular car service and maintenance, we’ll be ready to perform whatever work your vehicle requires. And when you’re in the market for auto parts, we’re ready to assist in whatever D-I-Y projects you have going on under the hood of your car. For more information about our full range of services stop into our showroom at 608 West King St Shippensburg, PA and we’d be happy to assist you with all of your automotive needs. Shively Motors Inc. was founded by Robert B. Shively in August of 1939 as a Dodge and Plymouth dealership. The original business was in an old garage located downtown that previously was occupied by other early dealerships. The address of that first dealership was 204 Lincoln Way West in Chambersburg, Pennsylvania. After WWII, demand for new vehicles boomed and Shively needed a bigger facility to manage the business. The decision was made to move the dealership to our current location in January of 1946 into an existing garage at 801 Lincoln Way West. In 1948, Mr. Shively added a body shop to the building. Business continued to grow and in October of 1955 Mr. Shively bought the Chrysler Plymouth franchise from V.T. Angle located at 901 Lincoln Way East in Chambersburg. Shively leased the property and renamed the dealership Coldbrook Motors Inc. In 1959, Shively then moved Coldbrook Motors to 801 Lincoln Way West with the Dodge dealership. Both dealerships operated together during that time. The Coldbrook Motors name continued until 1972 when it was merged with Shively Motors Inc. Bud Faubel was Vice President of Coldbrook Motors for several years. He was also a talented race car driver and veteran fighter pilot. Bud became a legendary race car driver throughout the 1960’s. Shively Motors was a proud sponsor of his cars including the “Hemi Honker” that won the 1965 AHRA “Mr. Stock Eliminator of the Year”. In 1955, Mr. Shively also acquired the Dodge Plymouth dealership in Waynesboro, Pennsylvania. That dealership was Eastland Motors Inc. located at 410 East Main Street. That dealership was then closed in 1960, but in 1961 Shively, along with Bud Faubel, expanded again with the opening of a VW dealership. The VW dealership then became the new Eastland Motors since Mr. Shively already had the corporation in place. The VW dealership was built across the street at 800 Lincoln Way West. Later, in the 1990’s, the Subaru franchise was added as well. The VW and Subaru dealership was later closed in 2001 to refocus on the Chrysler franchises of Shively Motors. In 2000, Shively Motors bought the Jeep franchise from McKnight Motors in Chambersburg to complete the full line of Chrysler products. In 2008, Shively Motors once again had the opportunity to expand. Naugle Motors in Shippensburg, a family owned Chrysler dealership since 1945, was for sale. Shively Motors purchased the dealership and renamed it Shively Motors of Shippensburg to share the heritage of the parent dealership. Both dealerships carry the full line of Chrysler products and allow Shively Motors to better serve their customers in the Cumberland Valley. Robert Shively passed away in 1992 but his vision of “The Dealership You Can Depend On” continues. Shively Motors is proud of their rich history in Franklin County and looks forward to serving their customers for many more years to come.